Yes, I’ve returned to my long time Stephen King obsession in picking up The Outsider and this one really seemed to go even more back to that old time horror feel. Now, it may not be obvious from the book blurb but this one is actually a fourth installment into King’s Finders Keepers series. I don’t think though it would be absolutely necessary to have read the first three since this has jumped into new territory while touching on the former books. As the story starts off in The Outsider a young boy is found murdered in the most horrific of ways putting the entire town on alert for the killer. When the detectives find all signs pointing to a local coach that everyone knows and loves they are determined to find out just what happened. As the evidence piles up with DNA and fingerprints being a match along with numerous eye witnesses that knew the well known suspect things look to be pretty air tight. However, the story can’t end that quickly and when it’s found that the suspect has an alibi that completely confuses the evidence it becomes clear that the case is still very much open and they need to look outside of the norm. Another very solid read from Stephen King that I even debated on going a bit higher in rating but I can’t honestly say it’s top of my favorites so he’s basically competing with himself. I love the twist of taking what feels like a police procedural and turning it into so much more bringing back characters that I’ve loved. These books can feel a bit dragged out at times but this one didn’t bother me and felt a bit faster than some in the past have so I’d definitely suggest it any long time or new fans out there. 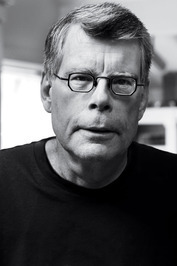 Stephen King is the author of more than fifty books, all of them worldwide bestsellers. His recent work includes The Outsider, Sleeping Beauties (cowritten with his son Owen King), the short story collection The Bazaar of Bad Dreams, the Bill Hodges trilogy End of Watch, Finders Keepers, and Mr. Mercedes (an Edgar Award winner for Best Novel and now an AT&T Audience Network original television series), Doctor Sleep, and Under the Dome. His novel 11/22/63—a Hulu original television series event—was named a top ten book of 2011 by The New York Times Book Review and won the Los Angeles Times Book Prize for Mystery/Thriller. His epic works The Dark Tower and It are the basis for major motion pictures. He is the recipient of the 2018 PEN America Literary Service Award, the 2014 National Medal of Arts, and the 2003 National Book Foundation Medal for Distinguished Contribution to American Letters. He lives in Bangor, Maine, with his wife, novelist Tabitha King. A good review of this book. I have found that Stephen King’s more recent writing is much more sexually graphic which is not something I particularly enjoy. I loved his earlier books and thought this sounded pretty good. I will give it a try. Wow, the case certainly sounds dark especially due to the age of the victim. 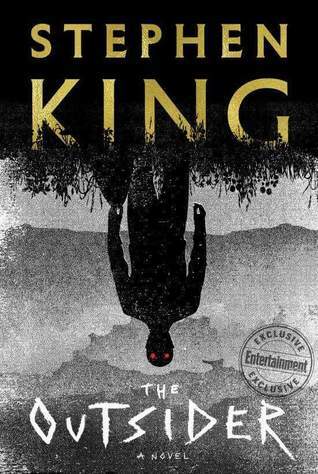 I haven’t read any books by King in quite a long time but I really like the sound of this one especially since it mixes horror and an investigation. Glad you enjoyed it Carrie. Great review! I need to get back into reading Stephen King. I love some of his older stuff, but I haven’t read many of his recent books. I’m glad you liked this one.